← For Sale: The KN0CK and KF7LZE RTLSDR for HF Rev. 5! A version of this article appears in the October 2014 issue of Nuts and Volts magazine. 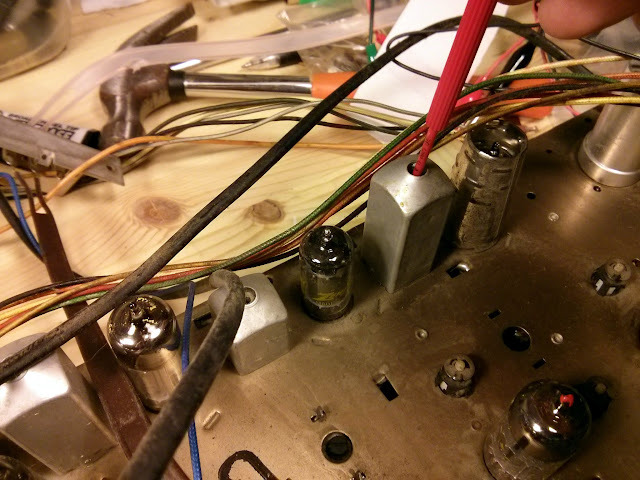 I recently got to work on something a little bit different – a tube hi-fi stereo console! 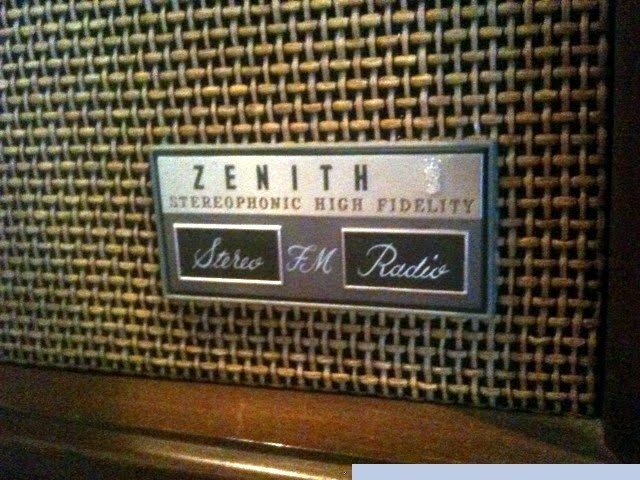 This particular one, a 1962 Zenith MK2670, was a very high-end unit back in its day. It’s a dual-chassis unit with 19 tubes total, using the 12K25 stereophonic FM tuner and 7K31 stereo amplifier chassis with EL84 outputs. All housed in a beautiful mid-century modern cabinet with built-in stereo speakers featuring 12″ woofers and mid- and high-end compression drivers and horns. With 19 total tubes, this model features hi-fi integrated speakers with high-efficiency 12″ woofers and mid and tweeter horns, push-pull EL84 output tubes for each channel, and built-in FM Stereo Multiplex decoding for true stereo hi-fi reproduction. This hi-fi’s owner reported it was working well for several years but started to go downhill shortly before she got in touch to have it fixed. It was taking longer and longer to warm up and sounding more and more distorted, no longer delivering the rich warm sound of a classic hi-fi console. It was good she got in touch – waiting any longer could have led to catastrophic consequences such as component failure or even a fire. I visited her home to test the tubes and pull the chassis, then it was back to my shop for repairs. And what a job it was! This unit had been serviced a couple of times in its life – there were some ’70s era film capacitors installed, and some of the output tubes had been replaced. Most of the tubes were original Zenith fittings and tested strong, though, so very little needed to be replaced. Since it came into the shop in working condition, too, it made the diagnostic process much easier! Right away there’s some visible damage. This molded ceramic capacitor blew a piece of the ceramic clean off from overheating. It’s unlikely it was doing much of its job at this point. Despite a nice ceramic body and epoxy sealed ends, it’s still an acid-paper/foil capacitor inside subject to failure, and fail it did. With the amplifier chassis sorted, it was time to move onto the tuner. It’s nicely shielded on the bottom. And there’s a lot going on inside. Now it was time for a power-up test. This particular radio uses an odd multi-tapped output transformer arrangement with drivers hooked up to both taps in the cabinet, so I ended up hooking up 4 distinct speakers for testing. It fired right up and sounded great! There were a few minor issues to resolve, though. For one, there was a bad volume-invariant hum on the AM band only. This was due to a small short which was corrected. The volume controls were behaving pretty erratically, though, which took some investigation. The unexpected behavior turned out to be due to a control scheme I hadn’t run into before. The “balance” control isn’t an actual fader; instead, the volume controls for the left and right channel are ganged together with a friction clutch. Turning the outer ring turns both together – but turning the inner ring adjusts the friction clutch allowing one to be turned independently to achieve the left-right effect. At the new set point, then, the outer ring will turn both volume controls together to adjust the loudness equally after the fade is applied. It wasn’t a popular control scheme, being replaced after a couple of years, because many consumers found it to be annoying and counter-intuitive. Lots of parts came out of this one! This radio is going to continue to serve faithfully for many years, pumping out a warm and rich hi-fi sound and be a beautiful family heirloom to pass on. They just don’t build them like they used to! 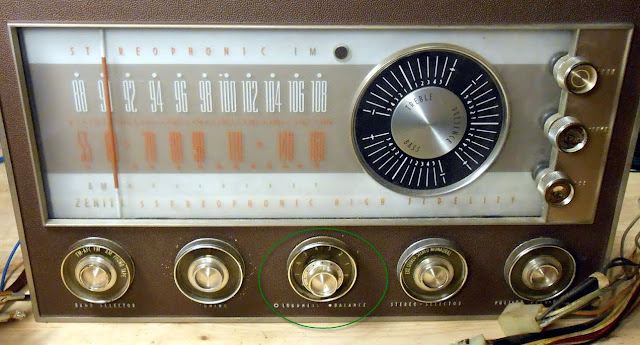 If you need your antique radio repaired, I can help. 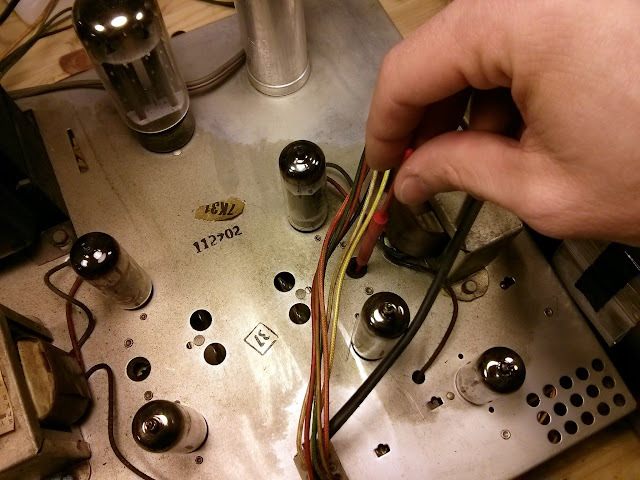 This entry was posted in Audio, Projects, Radios and Tubes, Stereo, Vintage and tagged antique radio, capacitor, capacitor replacement, hi-fi, MK2670, radio, repair, restoration, tube radio, vacuum tube, vintage, vintage radio, zenith. Bookmark the permalink. This is Ricardo from Barcelona, Spain. I have a broken Zenith and I am interested in repair it. Can you send me the 7K31 stereo amplifier scheme? Hola, Ricardo! Visité a Barcelona el verano padado…pero lo siento, solo hablo Castellano no Catalán. Puedes encontrar las esquemas aquí: https://www.radiomuseum.org/r/zenith_mk2670mk_267_ch_12k25_7k3.html Son gratis. Buena suerte! I have a very similar cabinet with the same internal components. We emailed in the spring about you restoring it. I really would like to get on your waiting list but I’m not sure if you have gotten my messages. I hope everything is OK with you. The radio works great. Would like to get turn table working. I only need a new new needle and …..the cartridge. Also need to know how to remove the cartridge. Sadly I can’t help much there, on mine the turntable was replaced with a mid ’70s model. That said, I’d actually encourage upgrading to a more modern TT setup – the Zenith one was fine for sure, but something more modern will definitely be an improvement, turntable technology evolved rapidly in the 1970s and 80s and there were some big improvements. Typically the Zenith phonographs had their own service manuals, you could try pulling the turntable and looking for a model number sticker on the underside; there’s probably a Sams Photofact for it. Hi Bill, I’m pretty bad about voicemails, I just checked and found yours! I’ll give you a call this week and we can chat some more about the project. Thanks! I have a beautiful Italian Provincial unit, ( 9 out of 10 ), with essentially the same tuner and amp, but a model year older with all on top. It has ‘reverberation’ along with the Stereo Professional Record Changer & Custom Cobra tone arm. However, it has its quirks — belong to the CHRS here in San Francisco, so maybe I should try and see if anyone would like to repair and do it RIGHT. $$$ ARE always a concern, ya know… Thanks for your information !!! Beautiful Blog…..really really nice work and excellent descriptions. I am currently restoring a console for a client and decided to use the same equipment, but in a different Zenith cabinet. I have finished all the modifications to the cabinet and have replaced almost all the same electrical components that you have. 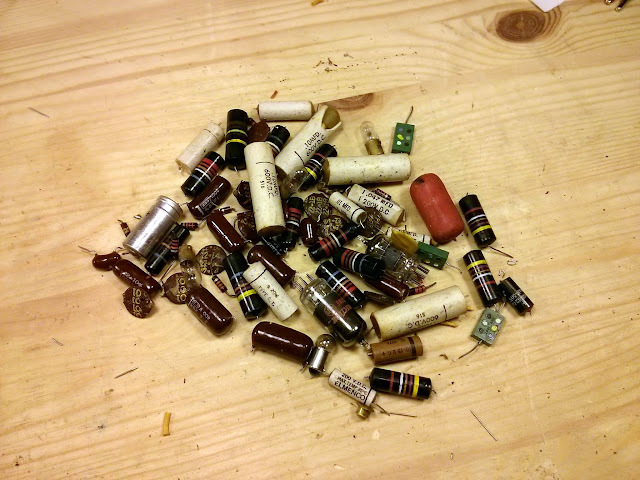 My question is this (and I certainly appreciate the help)….. On the output transformer….which colors are going where? What total impedance did you end up with? This is the only spot that I have now hit a wall with. Again, appreciate the help and I enjoyed reading through this blog! Hey, that’s a great question. The leads from the output transformers do go to a crossover network mounted inside the cabinet, then from there to the individual drivers. I don’t have this unit around anymore, and I’m not sure if I have any more detailed photos. I will check into it and if I find more information in my records I’ll send an email! Thanks so much for getting back to me. 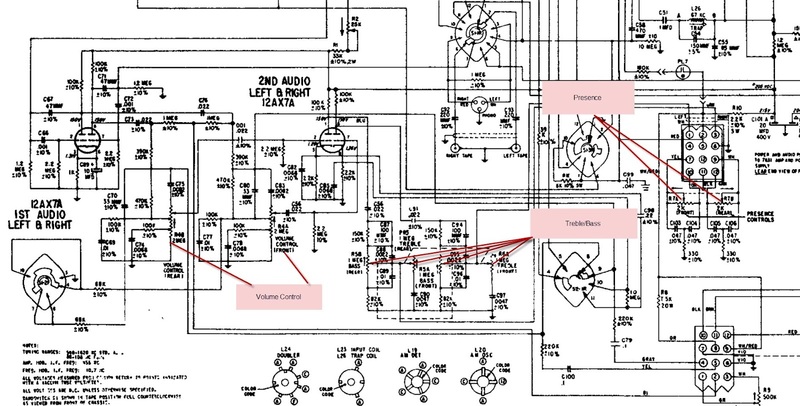 I can’t get a decent schematic for this so I have been just going step by step, item by item. This speaker output has become the last wall I have hit. Thanks again! In all honesty, I’d pull it out and replace it with a different turntable unit. The originals were fine, but they’ve gotten a lot better since then. Even an entry-level turntable from the ’70s or ’80s which drops into the same form factor would probably be a better performer. Before you do that, though, double-check all the connections are plugged in. They could have come loose in the move. I have the identical 1962 changer, but I cannot remove the upper platter along with the lower sub-platter by removal of the set screw beneath the table as some folks suggest. Both platters rise together about 5/16″ and then something goes “clunk.” How did you manage to do it? 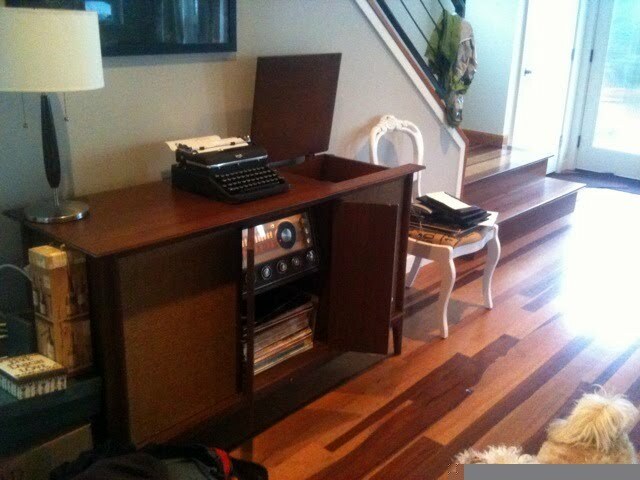 You know, this particular one had the changer replaced with a non-changer record player manufactured in the ’80s that didn’t require any service. Sorry I can’t provide any more insight! Do you have the Sam’s or service manual? The procedure should be in that document. I’ll have to dig around a bit for my copy again for the bias instructions. Hi, I do not have any manual with it…just the console from gara sale…the power tube is death..but all other tubes is light up when turn on. I ordered a quad el84 on the way and want to be sure I have to do something like bias when put in the new ones…or just plug and play ??? but worry about safety. I just recently purchased a similar console, model MH2670W. Although it’s a different model it has the same tuner and your explanation of the volume control is very helpful! I thought something was definitely wrong with it. I’ve obtained the Photofact for my model but it didn’t include anything on the controls as you’ve pictured, where would I be able to find them? The stereo currently plays great but I am worried about it deteriorating if I continue to use it without servicing it. Unfortunately there doesn’t seem to be many service providers in my area so I’m trying to collect as much information as possible. I have a similar unit that work great except the phonographic, I need a cartridge and needle for it and no one around here recognizes it. Can you help. I can supply a picture. 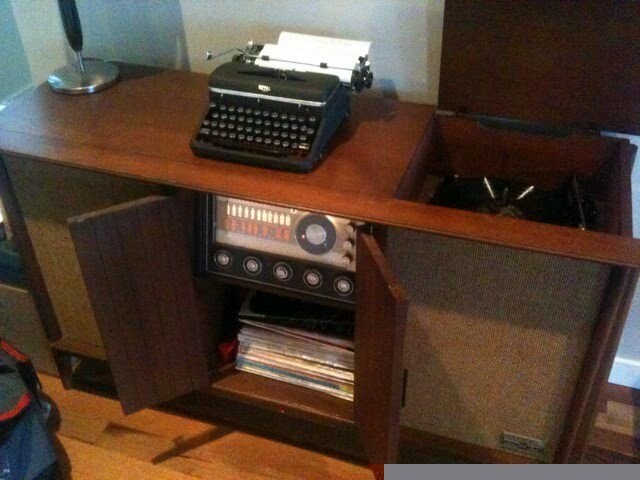 Hello – I have a similar stereo that was given to me by my grandmother. What is something like this worth these days ? Very nice. Big stereo consoles monetary value can never really match their sentimental value, honestly. They don’t work with all decor, take up a lot of space, and often need expensive repairs. 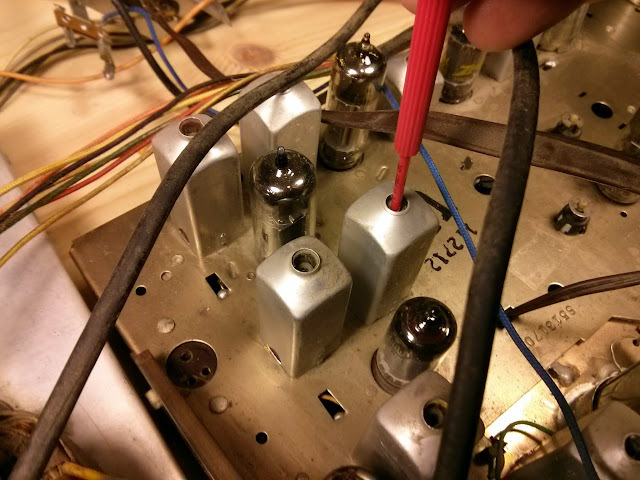 Tube consoles will still move, but if it’s solid state there’s not much market at all really. A high end piece, something like this one, could go for $300-500 in working condition, maybe $50-100 in unknown shape. 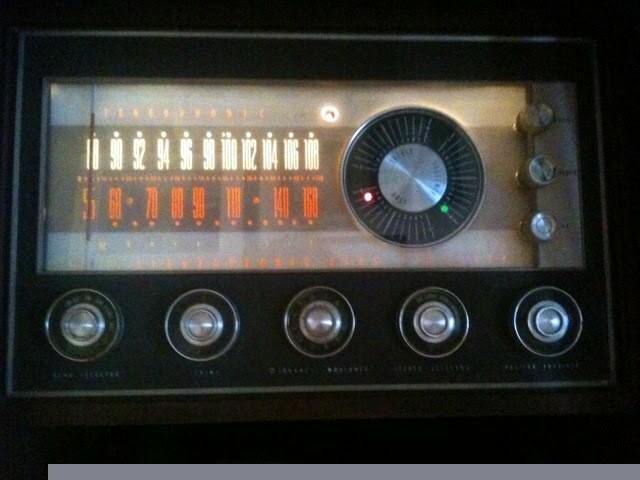 A more economical tube console, while it might sound good, would probably be lacking in several desirable features and might only go for $100 in running shape, or maybe $20 in unknown/non-working shape. I could give you an idea if you knew the model. 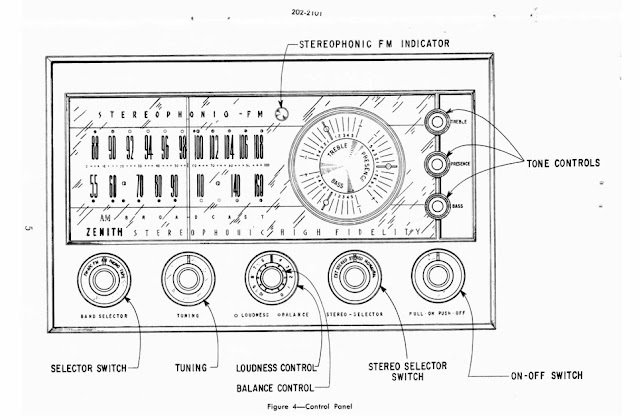 Hi again – the stereo is the MK2670 (same one). The wood/furniture on it is beautiful, but when I turn it on, the light comes on the radio, but no sound. My parents paid alot of money for this piece back in the day, which is why I asked how much it is worth now ? Hey! These were definitely high-end pieces and their purchase price reflected as much – this was top of the line stereo technology in its era. They were built so well that many of them have lasted up until very recently without much or any service. The one in the article was still running in 2013 although its performance began to degrade rapidly as components continued to fail. This is kind of a problem, though – servicing tube equipment now requires special parts, equipment and techniques that are fairly specialized, and so they’re expensive to fix up. The decor doesn’t match well with most home interiors and floor plans these days, either, so even though they have great sound quality when fixed up there’s just not much demand for them on the secondary market. Accordingly, they’re really not worth a huge amount. If it’s in as good shape as you say, cosmetically, it might go for as much as $200 even if it has some issues electrically. If it’s a little rough around the edges, maybe $100. It’s vintage high-end but the cost of an overhaul to make it safe and reliable is about equal to what you could sell it for in 100% restored shape and that keeps a project set from being worth too much. Of course, you might do better with the right buyer, but I think it’s an accurate estimate. Nicely done. Zenith — “The quality goes in before the name goes on”.